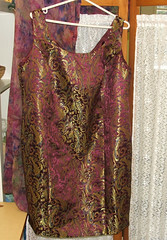 Or what I sewed this summer. 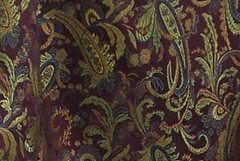 It is Chinese Brocade Silk and just yummy to wear. I spent the time to alter the pattern so that it actually fit me properly. I wore it at the one wedding I attended this summer. I enjoy looking at everyone's posts and although I haven't been active with posting of late I am a VERY active lurker. I wanted to let you know about my blogiversary contest which ends tonight. Please pop over and leave a comment for a chance to win.